(1) Department of Electronics and Nanoengineering, School of Electrical Engineering, Aalto University, Espoo, Finland. (2) Department of Materials Science & Engineering, Michigan Technological University, Houghton, MI USA. (3) Department of Electrical & Computer Engineering, Michigan Technological University, Houghton, MI USA. (4) University of Cambridge, UK. (5) School of Arts, Media, and Engineering, Arizona State University, Tempe, AZ, USA. Instrumentation is a central facet of student, amateur and professional participation in science. STEM education, recruitment of scientists and experimental research are thus all hampered by lack of access to appropriate scientific hardware. Access restrictions occur because of: 1) lack of capital to purchase or maintain high-cost equipment, and/or 2) the nature of proprietary ‘black box’ instrumentation, which cannot be fully inspected, understood or customised. Lack of access can start early and extend throughout a research career, because limitations affect labs from STEM education facilities through to state-of-the-art research laboratories. In addition to reducing opportunities for people to engage with science, this lack of access to appropriate hardware restricts scientist’s creativity in experimental designs and contributes to the reproducibility crisis as researchers struggle to replicate their peers’ work. By harnessing the power of collaborative innovation throughthe development of free and open source hardware (FOSH) for science (Peare, 2012), there is an opportunity to radically improve access to instrumentation, while improving the quality and diversity of tools. It is now well established that FOSH reduces the costs and often the lead time of high-quality experimental research tools by leveraging recent advances in distributed digital manufacturing technologies (Baden et al., 2015; Gibney, 2016). Under a scalable open source approach that is supported institutionally, scientific funding is primarily invested for the development of FOSH for science rather than spent to directly purchase equipment. A return on this investment is then realised by direct digital replication of scientific devices for research and education at only the costs of materials, which is normally only 1–10% of the conventionally manufactured equipment cost (Pearce, 2015). Open source scientific hardware (and the open science movement in which it is situated) is part of a larger social shift characterised by open production methodologies, and decentralised and distributed models of collaboration (von Hippel, 2016).Currently, very few institutional programs such as the NIH’s 3D Print Exchange (Coakley, et al., 2014) and CERN’s open hardware repository contribute to a culture of hardware sharing among scientists (AAAS, 2014). However, new academic journals dedicated to methods and open hardware for sharing high-quality hardware documentation and nascent international community networks are being established (Dosemagen, Liboiron & Molloy, 2017), which offer improved incentives for researchers to participate. We propose that there is now an opportunity to secure added value from FOSH using a network to network approach to 1) increase equitable access to hands-on STEM education, 2)enhance customisation and control for instruments among scientists, and 3) improve research collaboration. In general, scientific hardware, even for education at the K–12 and university levels, is relatively low volume and thus does not benefit from the same economies of scale associated with normal consumer products. As education spending is either reduced or shifted to administration in many countries (Ginsberg, 2011), there is simply not enough lab-grade equipment available at reasonable prices for everyone to use and this could weaken recruitment into STEM fields. . Both of these phenomena represent drains on future scientific talent. Scientific FOSH, however, lowers the cost of STEM education in resource-constrained contexts from U.S. public schools to universities in developing countries. Libraries of digitally manufacturable FOSH designs from optics and microscopy labs to biology and chemistry reactionware (Pearce, 2012;2014; 2015: Baden et al., 2015; Gibney, 2016; Coakley et al., 2014), have the potential to change way science is taught in these communities and expanding the audiences that have access to modern technology for research and teaching. Many studies ((Pearce, 2012;2014; 2015: Baden et al., 2015; Gibney, 2016; Coakley et al., 2014) have shown for example that 3-D printing is technically viable to make valuable scientific tools for the classroom and that educators can fully exploit the tools and procedures provided to improve hand-on STEM learning. Free and open source principles can be applied to any area of experimental science. The FOSH approach to instrument development has several advantages for scientists. First, reduced total investment of money and time are enjoyed for direct distributed manufacturing equipment (Pearce, 2012;2014; 2015: Baden et al., 2015; Gibney, 2016; Coakely et al., 2014). As the number, ease of use, and validation of FOSH scientific tools proliferates this will likely result in price pressure on commercial versions of the equipment, resulting in a decrease in overall research costs, as seen in 3D-printer markets. These cost savings can be used elsewhere in the scientific enterprise such as funding additional graduate students andpurchasing upgraded higher-quality components for the equipment. Second, the FOSH approach provides greater flexibility for customisation that would be expected to lead to better experimental designs that are shared and reproducible between laboratories and thus to faster advancement of science (Pearce, 2012;2014; 2015: Baden et al., 2015; Gibney, 2016; Coakely et al., 2014).. With FOSH, scientists can create scientific instruments to meet their exact needs and specifications, by expanding or tailoring existing FOSH design files for specific experiments. This is in stark contrast to their previous choices: buy what is commercially available off the shelf or pay extreme costs for custom engineering. Those doing truly novel science often need customised, never-seen-before equipment to answer their questions, but even for more common experiments, there is already some evidence that building one’s own scientific tools fosters creativity (Urban, 2016). Third, FOSH affords scientists more control over their lab operations. Open source products, in general, are well established for offering decreased dependency on monopoly suppliers. With a free and open source approach, scientists have both the legal and technical access to alter the code for hardware and software in their labs. This limits the risk of stranded assets such as non-functioning equipment when commercial vendors go out of business, drop a product line, or loose key technical staff. It also reduces reliance on spare parts and maintenance engineers who may be geographically distant and prohibitively expensive, particularly for labs in the global South. With FOSH, the scientific equipment has the potential to evolve rather than being discarded as scientists and research engineers design, share, and build on one another’s work. Science is threatened in some parts of the world due tospecial interests groups and also weakened internally by a reproducibility crisis (Baker, 2016). Fortunately, following the FOSH paradigm scientists now have the potential to digitally replicate an experimental apparatus anywhere in the world where the fabrication tools are available. Digital manufacturing facilities are becoming increasingly common due tosynergistic advancement and growth ofmaker networks such as Nation of Makers, Make Schools Alliance (a network of university makerspaces), and international networks such as the Fab Labs. Using FOSH tools that can be calibrated against open standards has the potential to assist in reigning in the replication crisis and reducing measurement error (Loken and Gelman, 2017). Beyond replication, this also provides scientists with the ability to more rapidly build upon one another’s scientific work. In addition, there is a major opportunity for sharing scientific FOSH to build local capacity for markets that are not served due to shipping costs, importation taxes, bureaucratic purchasing restrictions and lack of interest from big companies.In these contexts, researchers are more likely to build their own equipment. This could contribute to more equitable north-south collaborations and increase opportunities for south-south collaboration, allowing scientific questions to be explored collaboratively on shared platforms even where limited resources are a barrier. The widening accessibility of high-quality scientific tools also offers new opportunities for citizen and community science. 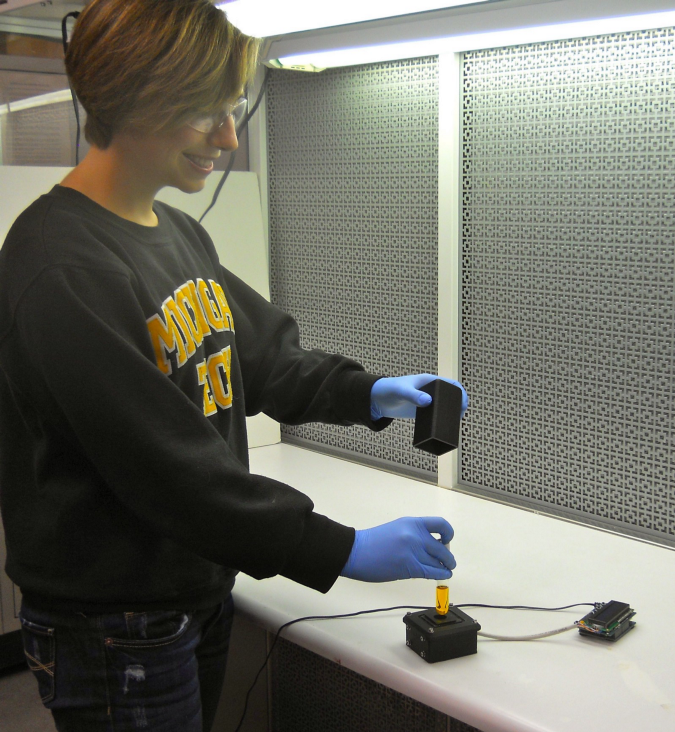 For example, Public Lab is an open community which collaboratively develops Do-It-Yourself technologies for investigating local environmental health and justice issues, including spectrometers and aerial mapping equipment. There are also citizens creating and using open source Geiger counters, water quality testing tools, oceanographic sensors and CubeSat satellites among other scientific devices. The ultimate manifestation of FOSH is when scientists from different parts of the world read a new article about a major breakthrough, they can click on the supplemental material and be directed to the complete source code for the experiments including all equipment. They can then replicate the equipment, validate and calibrate it and then repeat and immediately begin building on the work and coordinating experiments with their peers globally. In order to realise these three core paths to added value, existing international networks formed around scientific FOSH as made up of five types of groups: 1) science communities, 2) academic labs, 3) technical communities, 4) documentation and publication platforms, and 5) companies. Examples for each of these types of FOSH groups are shown in Table 1. These groups can be strengthened by connections with academic and civil society organisations that serve underrepresented groups and those who could benefit the most from increased access to science and FOSH, like community organizers working with people affected by environmental, social, and political issues. A new international science policy is needed to develop a network of networks for scientific FOSH. Once successfully established, such a Network would have a direct impact on a number of existing fields that already integrate open science hardware — most notably the natural sciences, particularly those that rely on citizen-driven data collection; engineering fields that are developing novel low-cost fabrication techniques (e.g., 3D printing); social science inquiries that examine the societal, ethical, and philosophical aspects of democratic science practice; and STEM pedagogy approaches that are incorporating low-cost hardware into classroom and informal learning activities. In addition, the network-in-networks approach would promote OSH as a new field of study in itself that integrates methodological perspectives from engineering, policy, design, and social sciences. A network of networks approach to promote open and equitable scientific participation and knowledge sharing would provide the organization and promotion of online forums and face-to-face activities. Global events, such as GOSH, can encourage international collaborations and enable a wide dissemination of scientific FOSH, while local and regional events would help overcome language barriers, cost of travel for people who have difficulty securing funds, and cultural differences, thereby enabling development of more context-relevant design and use of hardware. Table 1. Free and open source hardware initiatives useful for science. FOSH for science spans the science, engineering, and STEM education fields and its research outputs have potential relevance to almost all experimental researchers and science educators across a range of institutions. The community is nascent, but enhanced international cooperation would catalyze its potential to enable a broader audience to access the necessary tools for experimental science including increasing equitable access to high-quality, hands-on STEM education, better access and control for instruments among scientists and fostering natural collaborations towards shared research goals. By combiningexisting national and international networks through a network of networks with a specific focus on scientific FOSH, expertise, information and researchfacilities can be shared for mutual benefit. This initiative would support amultidisciplinary research network of scholars, students, and practitioners, spanning the disciplines of natural sciences, engineering, design, social sciences,and STEM education. This work was supported by Fulbright Finland and the Alfred P. Sloan Foundation. American Association for the Advancement of Science. (2014). Global collaboration. Science, 346(6205), 47–49. Baden, T., Chagas, A. M., Gage, G., Marzullo, T., Prieto-Godino, L. L., & Euler, T. (2015). Open Labware: 3-D printing your own lab equipment.PLoS Biology,13(3), e1002086. Baker, M. (2016). Is there a reproducibility crisis? A Nature survey lifts the lid on how researchers view the ‘crisis rocking science and what they think will help. Nature,533(7604), 452–455. Coakley, M. F., Hurt, D. E., Weber, N., Mtingwa, M., Fincher, E. C., Alekseyev, V., … & Yoo, T. S. (2014). The NIH 3D print exchange: a public resource for bioscientific and biomedical 3D prints. 3D Printing and Additive Manufacturing,1(3), 137–140. Dosemagen, S., Liboiron, M., & Molloy, J. (2017). Gathering for Open Science Hardware 2016. Journal of Open Hardware,1(1). Gibney, E. (2016). ‘Open-hardware’ pioneers push for low-cost lab kit: conference aims to raise awareness of shared resources for building lab equipment. Nature,531(7593), 147–149. Ginsberg, B. (2011). The Fall of the Faculty. Oxford University Press. Loken, E., & Gelman, A. (2017). Measurement error and the replication crisis. Science,355(6325), 584–585. Pearce, J. M. (2012). Building research equipment with free, open-source hardware. Science,337(6100), 1303–1304. Pearce J. M. (2014) Open-Source Lab: How to Build Your Own Hardware and Reduce Research Costs. New York: Elsevier. Pearce, J. M. (2015). Return on investment for open source scientific hardware development. Science and Public Policy,43(2), 192–195. Sherratt, T. N., & Roberts, G. (2012). When paths to cooperation converge.Science,337(6100), 1304–1305. Urban, P. (2016). Open hardware: Self-built labware stimulates creativity.Nature,532(7599), 313–313. von Hippel, E. (2016). Free Innovation. MIT Press: Cambridge, Massachusetts. Walter-Herrmann, J., & Büching, C. (Eds.). (2014). FabLab: Of machines, makers and inventors. Verlag.